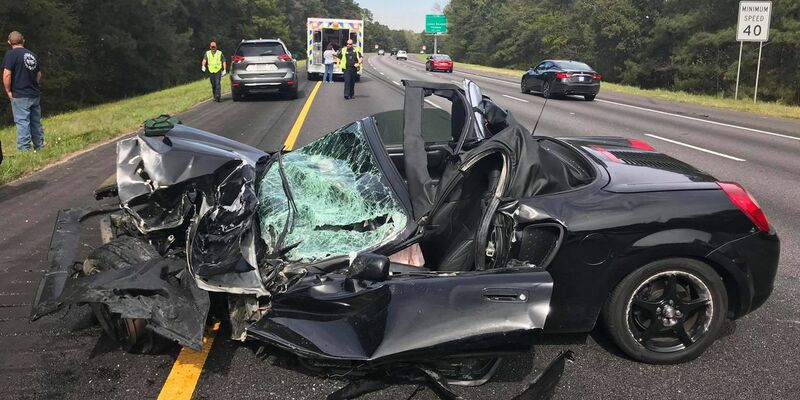 SAVANNAH, GA (WTOC) -A crash that happened earlier on Monday at I-95 and Jimmy Deloach has slowed traffic significantly. This picture was posted by Chatham Emergency Services. In the caption, they claim that the driver was able to walk away from this crash with only minor injuries, a surprising fact given the condition of the car. Please be safe and expect delays if you’re driving in the area.